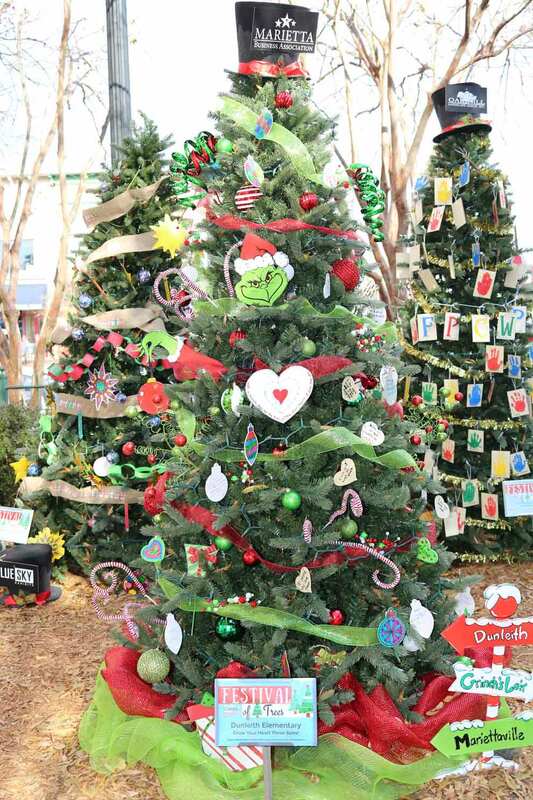 Congratulations to all the schools that decorated trees for the 2018 season! Stay tuned for information on all the beautiful trees at Glover Park on Marietta Square this year! Theme: Oh, The Places You’ll Go! Theme: Grow Your Heart Three Sizes! Inspiration: Spreading kindness is a cinch so don’t be a Grinch! Please look carefully around our tree! Our Dunleith Dolphins have words of inspiration to help your heart grow three sizes! Inspiration: Lockheed students were inspired by the magic of Christmas and the power of writing. We hope our “Dear Santa” wishes bring you joy this Christmas season. Inspiration: We believe each unique handprint represents each child’s beautiful life created by God! Inspiration: Wonder guides the educational experience at Walker. Our tree's decor is reflective of this endeavor. Through the curiosity & creativity of our students, faculty, & staff, this tree is a representation of the wonders of Walker as they have manifested through challenging curricula, engaging interpersonal relationships, demanding athletics, & stimulating extracurricular activities. Inspiration: Jesus is the GREATEST gift of all! Inspiration: To instill in our students the importance of service this Christmas. Our tree is decorated with the small yet capable hands that God has given our children. Our prayer is that they will use their hands to spread Christ’s love through service to the city of Marietta. Theme: “It’s a Small World After All”. Inspiration: Marietta’s youngest students are like rays of sunshine brightening up the community. Join us as we celebrate Marietta City School, Emily Lembeck Early Learning Center’s first year! Inspiration: What will you be when you grow up? Inspiration: In keeping with our school theme, there truly is no place like West Side. It feels like home; where students can show off their courage, knowledge and their kind hearts. Inspiration: “Weekday Wonderland” celebrates all the truly wonder-filled aspects of Weekday Ministry at Marietta First United Methodist Church! Our wonderful students and teachers, our year-round “Specials”, including Music, Art, Movement, Science & Spanish, and our exciting Lunch Bunch Plus options (Yoga, STEM, Art, Construction Kids, Childhood Games, Crafts or Math), allow Weekday Ministry to offer exciting options for everyone! We are delighted to share what our school has to offer the youngest in our community from ages one (by Sept 1) through Kindergarten. Come visit us at 56 Whitlock Avenue to see for yourself the wonder within our walls that spills into the Marietta area! Inspiration: MCAA students are currently working on a STEM Challenge that is Disney-inspired. They are creating interactive attractions on our campus that will include games, toys, and characters similar, but not limited to, those in Toy Story. The challenges will create an exciting space for students to be engaged in learning while playing. Our students, in all grade levels, collaborated on these tree ornaments, which are inspired by their work in the design challenge. 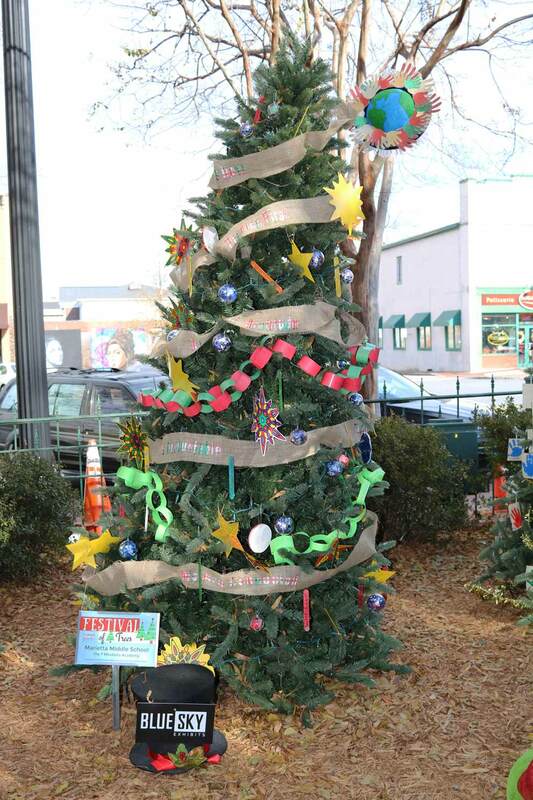 Inspiration: To celebrate Pitchfork’s 90th anniversary, our tree highlights Marietta’s spirit of community through sharing special moments and people from the past and present. 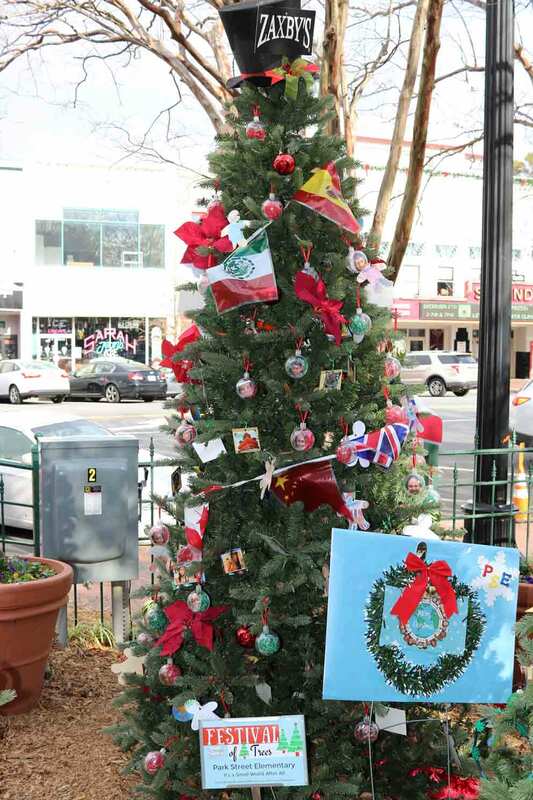 We hope our tree will inspire the magical spirit of the season by remembering the connectedness of our community. Inspiration: At Marietta Middle School we are embracing The 7 Mindsets Academy, a comprehensive blueprint for meaning, happiness and success in life. Through weekly teacher guided activities exploring the elements of each mindset, we are educating students to become more thoughtful in their actions and creating a culture at MMS which is focused on lifelong happiness and success.